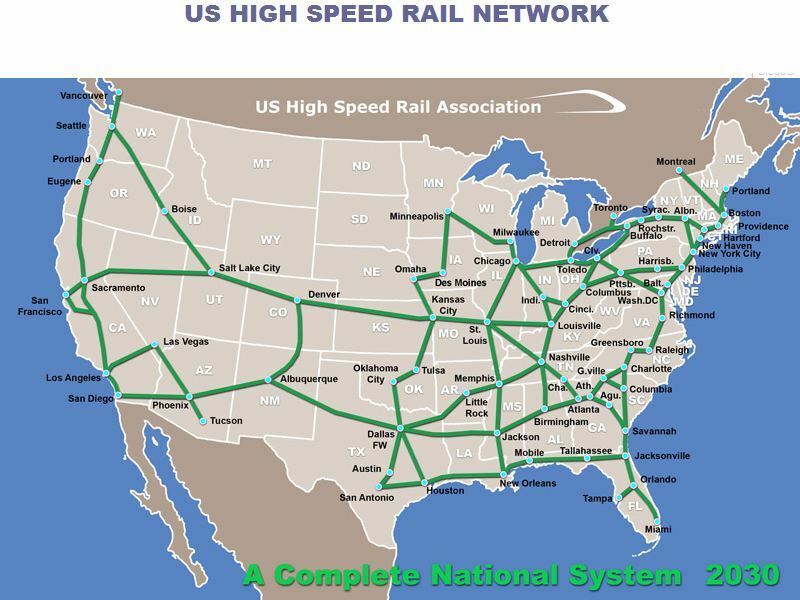 I previously noted that the United States have a plan of creating ten high speed rail corridors by 2020. Even if this is a good idea, it isn’t enough as it won’t enable Americans to travel from coast to coast. This might be done by 2030 according to the US High Speed Rail Network which advocates the building of 17,000 miles (27,000 km) of high speed rail which would enable trains to go as fast as 220 mph (355 kmph). The map above shows what the network could look like by 2030. The US would by then have a similar network to its European counterpart. A bright prospect that deserves our support. Provides efficient mobility that moves people and goods without delay and waste.